I must make it clear from the outset, I have never eaten in the first place I am going to recommend, reasons being, it only opened a couple of months ago, it doesn’t have a dog friendly terrace and the good people at the Spanish tax office have ensured I am unlikely to have the cash to eat there any time soon (I’ve reserved a table for 7th October 2016). It is a tapas restaurant and I am told that a budget of 60 euro a head is about right. Seems a bit steep, right? It is, but there is a reason for that, the restaurant is owned and overseen by Ferran Adria, who operates the world-famous El Bulli restaurant. For those who haven’t heard of him the best description would be “The Spanish Heston Blumenthal” albeit with a lot less of the “WTF?” factor with his food. 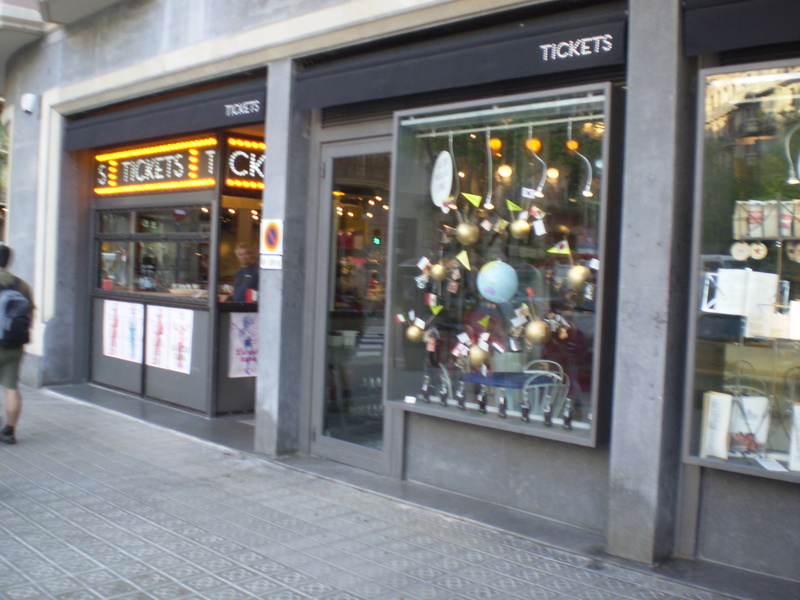 His new place is called Tickets and it situated towards the Pl. Espanya end of Parallel, this was first thing that impressed me in that, this area, Poble Sec, is not noted as being one of the posh bits of the town. All I can tell you about the food is that the reviews have been universally rave. 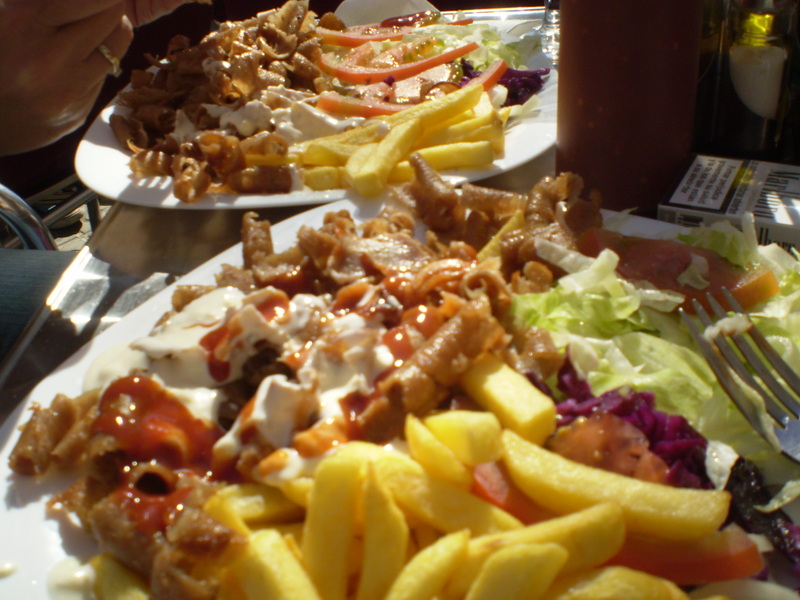 Reports suggest that it is essentially traditional tapas dishes with subtle and not so subtle twists. The chances of you ever getting a table at El Bulli are the same as my chances of having a gentleman’s evening in the company of The McCutcheon and The Jenkins and this could be likened to having the same evening with one of them, not as good but still unbelievably sensational. In the event you don’t get in, I’d recommend a place one block up towards Pl. Espanya (The following suggestion will make clear why I have never really had a reputation of being yer romantic sort). It’s a kebab shop, so if you can’t treat your partner to a meal, lovingly prepared by a highly trained team of chefs, overseen by one of the world’s greatest chefs, then get a kebab down yer neck. 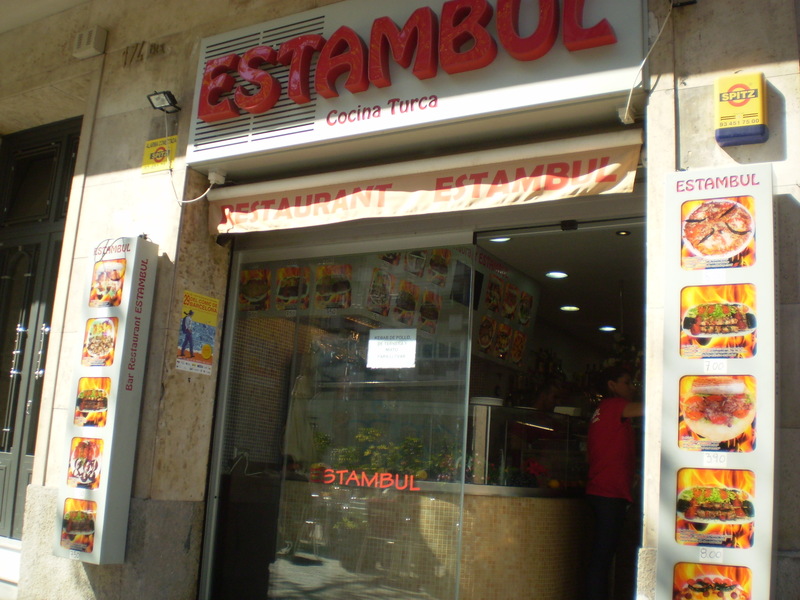 Estambul is a Turkish-owned restaurant and one that gets a fair bit of business from me. I’ve pretty much eaten everything meat based on the menu and never been disappointed and the bill has never been that painful. I’m not entirely serious about this being an option if you don’t get in to Tickets (You can tell my wife reads this, right?) but if you are in the area on other business it is worth a visit. If any of you actually get the opportunity to eat at Tickets please leave a comment and those of you who end up at the second place don’t leave your suicide note on the blog, plenty more fish in the sea etc. etc. 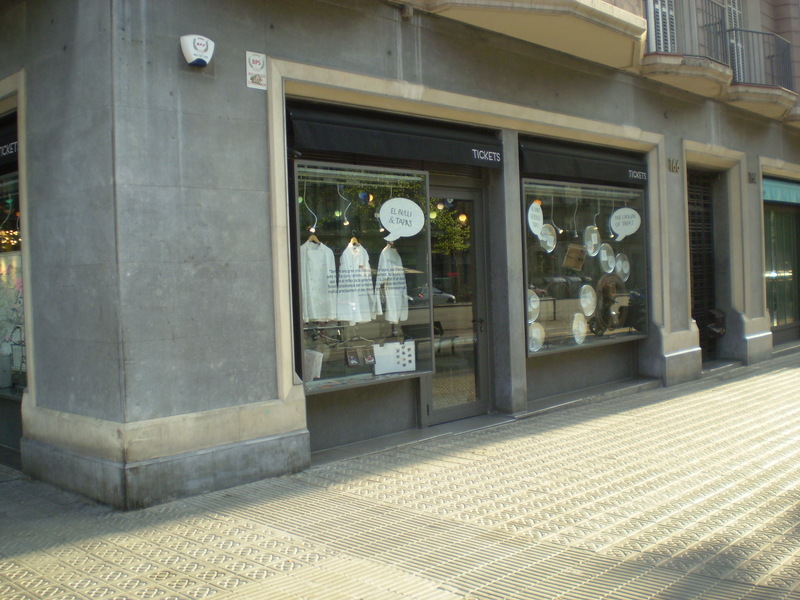 This entry was posted in Fine Dining, Poble Sec. Bookmark the permalink.